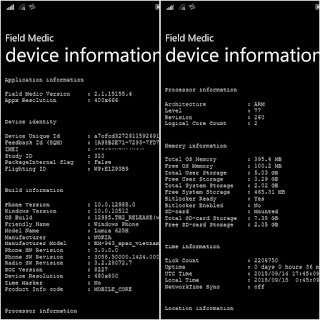 Below is the result of scanning from application Field Medic who gave some information in 625H after upgrade Lumia to Windows mobile 10 with build 10512. Send a message can not be in use, but rather just call and receive phone can use. 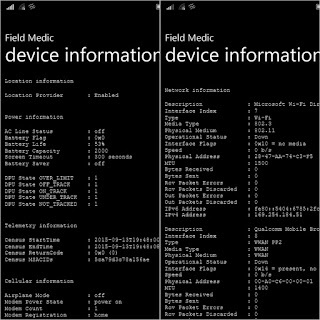 The use of Cellular data still not be in use, but can still rely on the network via Wifi which can be the use of the internet as data traffic. 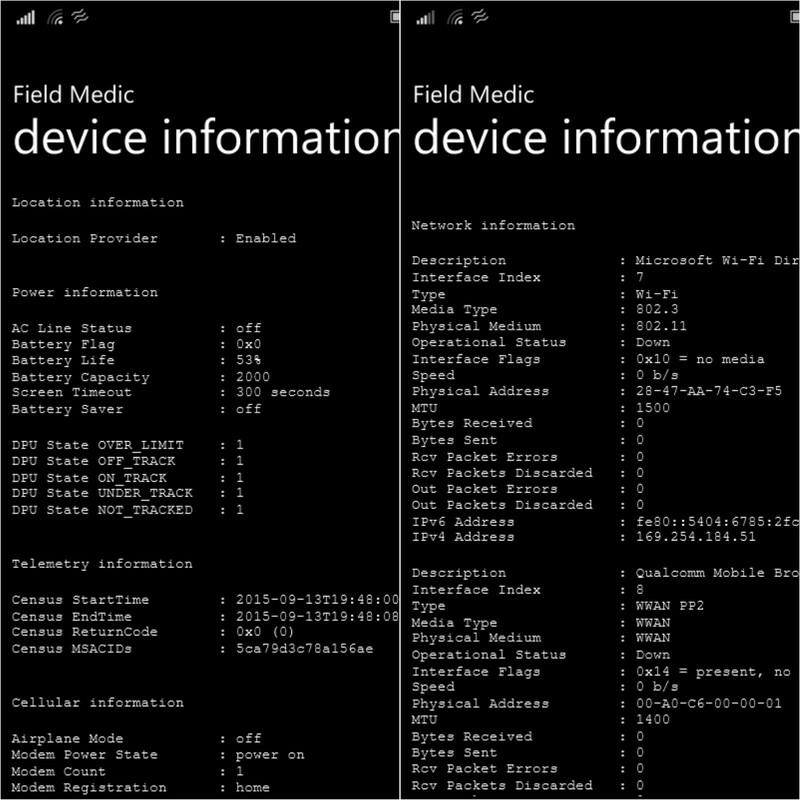 You are on the website page WINDOWS MOBILE PHONE - setting and Upgrade. Field medic result With the link URL http://hand-uk.blogspot.com/2015/09/field-medic-result.html for this articles, you can bookmark or share to any. 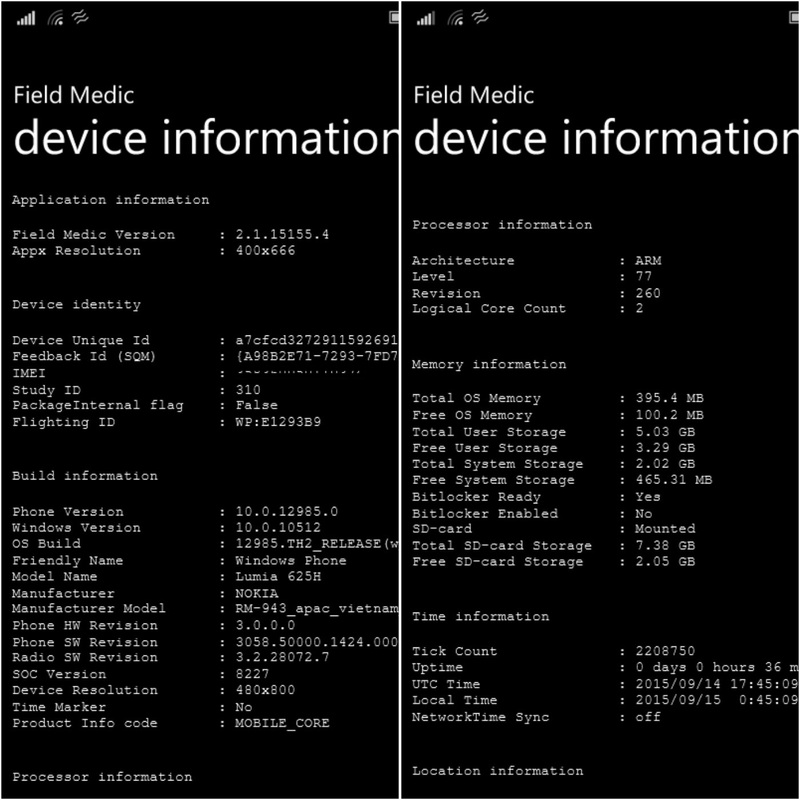 Our expectation that Windows smart phone users, can understand and know about OS Windows phone. 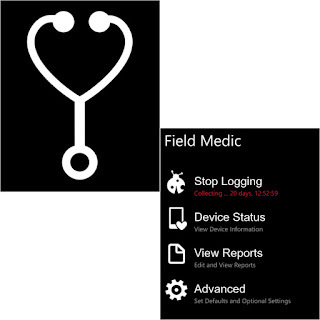 Field medic result Is a link for you, How to use the pure smart phone.